The 6-piece outfit currently consists of Risa Aizawa, Mirin Furukawa, Nemu Yumemi, Eimi Naruse, Moga Mogami and Ayane “Pinky” Fujisaki. All the members profess a variety of interests that fall under the otaku banner, such as anime, manga, cosplay and video games. 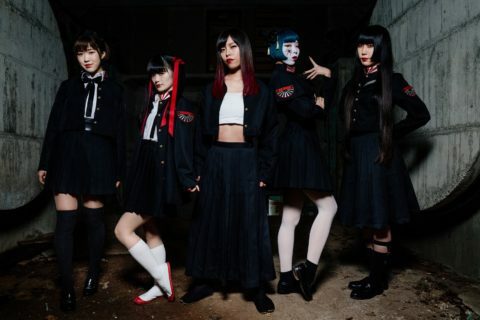 Dempagumi.Inc specialise in the denpa style (read: insanely catchy) of J-pop and captured wide attention with their 2013 single ‘W.W.D’, which also gave them their highest chart position up to that point. 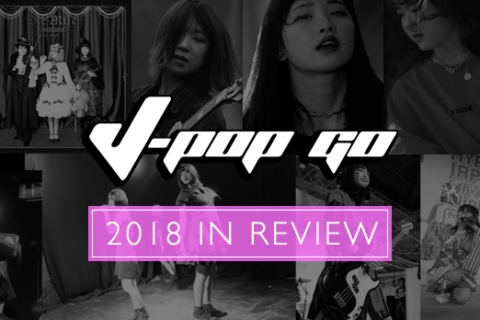 2015’s WWDD album was a release that J-Pop Go suggested “…delivers a good selection box of charged J-pop tunes, along with some surprising genre changes and more than a sprinkling of novelty”. Meanwhile, their latest album Gogo Dempa, featuring the singles ‘Otsukare Summer’ and ‘Ashita Chikyu ga Konagona ni Nattemo’, manages to retain the group’s solid hold on the contemporary idol scene. Dempagumi.Inc are also an outfit with their eye on expanding globally and in 2015 they made a special appearance at the UK’s Hyper Japan event where they dazzled audiences with a special showcase performance. How would you describe your experience of performing in the UK? Mirin: Because this was our first time performing in the UK we were worried about what kind of reactions or expectations we would get from the audience, but when we saw everyone had lit up with smiling faces at the end, it felt like they had been able to take in what Dempagumi is all about and really enjoyed it. What is performing at the Dear Stage venue like? Mirin: At Dear Stage the space between the stage and the fans is incredibly close! Mirin: Yeah! It really is about that close! Mirin: Like even if we perform on big stages regularly now, we’ve always felt that we must continue to perform with the same kind of enthusiasm and energy we did at DearStage and not forget that closeness with the fans. Were you not scared that you might fall in? Risa: Like (makes falling sound) Huh? What am I doing here! So serious question time! Some of you have admitted to having hikikomori (a Japanese term referring to people who withdraw from social life) tendencies. 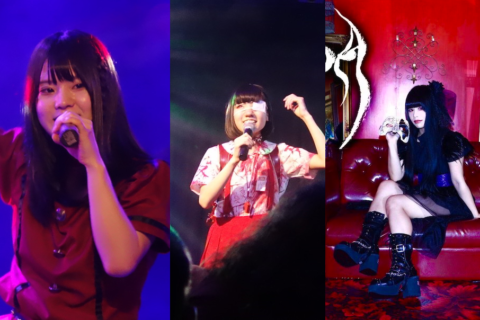 Do you think the existence of Dempagumi is encouraging other hikikomori to come out and pursue their own dreams? Afterwards we got a letter back from them saying that because her father had gone and asked that for her, she appreciated it so much that she would try her best to return to school. Nemu: I think it’s good also for people to get some time away from society when it gets too much. 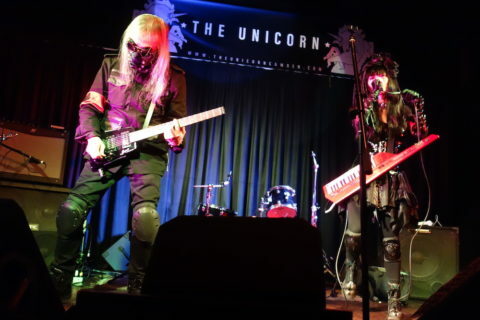 Nemu: Well we had released a CD together a while back where we had exchanged one of our songs each (Dempagumi Inc. covered ‘IDOL’, whilst Brand-New Idol Society covered ‘DenDen Passion’). We got to perform them together live and such and we both shared the dream of holding our own concerts at Nippon Budokan (One of Japan’s most prestigious concert venues), but when Brand-New Idol Society found they couldn’t perform at Budokan we decided to perform their song that we covered for our own Budokan concert. What are your thoughts on BiS? Did you think BiS were scary at all? Pinky: To me they all look really cool/stylish and there is actually a lot of times when they’re quite shy. Pinky: But they really are all great! Nemu: I like all the members myself, but they will surprise me sometimes with what they do! It was a good collaboration though! Risa: It was like that! What was your experience like filming the Shiromajo Gakuen/Innocent Lilies series? 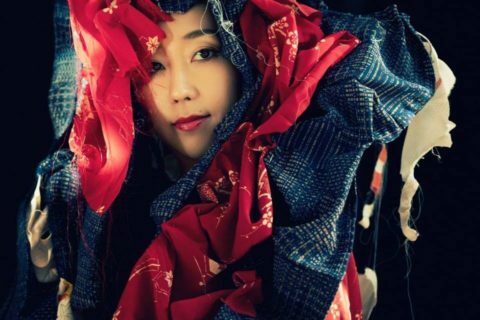 Moga: It was the first time Dempagumi inc. has starred in a film. Everyone was performing their first kind of dramatic scenes from scratch and there were a lot of action scenes that we had to practice and rehearse a lot for. Moga: It was interesting and a lot of fun! Moga: Yes we already have. Mirin: Please check it out! You also collaborated with Hello Kitty. Are there any other cultural icons or musical acts that you would like to collaborate with? Pinky: Ahhh someone like Funassyi maybe…. Eimi: Ah or maybe Pokémon right?! Nemu: Yes something with Pokémon! Or just Nintendo! Pinky: Saying that, I have seen quite a few people here in the UK wearing accessories and charms of him. With 3 albums and a wealth of single releases, is it difficult deciding which songs to perform live? Everyone: Hmmmm yeah that’s tough…. Mirin: But like, for example, if we’re performing outside during an evening we have a song called ‘Orange Rium’ where the fans specifically have orange glowsticks and penlights ready to wave during the song and as it’s creates such a beautiful scene we try to include as much as we can at these events. Would you like to come back to the UK in the future? Everyone: We want to definitely! Risa: Next time we’d like to come and do a proper one-man concert! Ahh~ Very good! We’d like to see that here! Eimi: For next time also, we’d like to be able to return with more improved MC segments in English! Pinky: You can do it! Do your best! Nemu: It was only basic English though! Your towel spinning was very good! 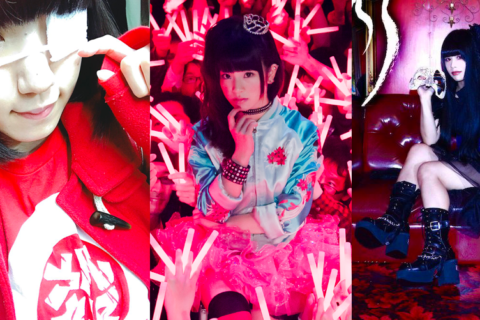 J-Pop Go extends its thanks to the team at Hyper Japan, Tomoko Kahata and the members of Dempagumi.Inc. Special thanks to Karen Kemp.